One of the most often asked questions that we are answering for our existing and potential partners, comrades inside the channel, as well as inquisitive candidates has to be…”What is the most common position you are placing these days”? Well, that’s not always the easiest questions to answer, because of the constant shift in tidewaters, or “evolution” of positions within the Solution Provider community. 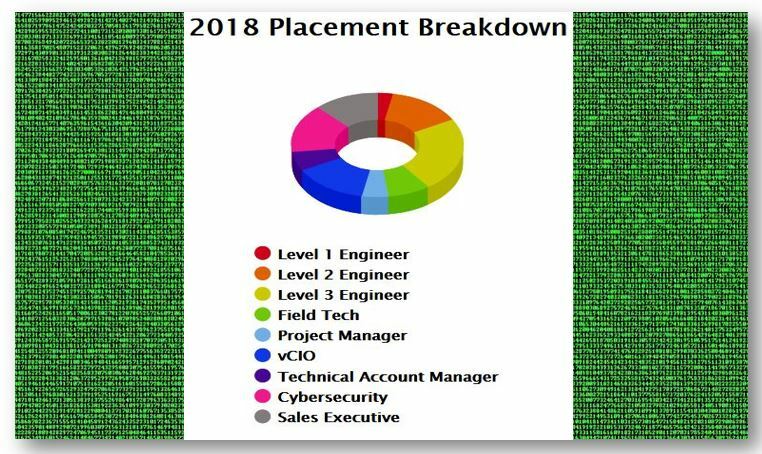 That said, we performed a quick analysis of our “most common” placements last year and we wanted to share a snapshot of our 2018 “placement breakdown” to enlighten our audience as to where our expertise was most utilized over the past twelve months. We surely envision these areas will dramatically change over the next 3-5 years, and are excited to see what the future has in store!